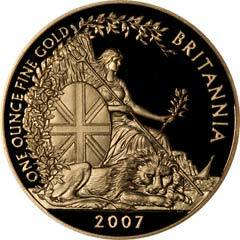 The modern one ounce bullion coin has certainly been successful since South Africa invented the Krugerrand in 1967. It was a simple but brilliant piece of marketing. 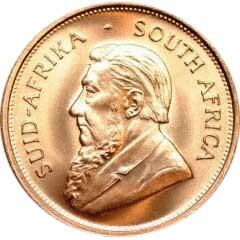 There were two main reasons for the success of the Krugerrand. Firstly it was distributed at a very low premium over its intrinsic gold content. Even allowing for shipping costs, insurance and dealers profits, they can be bought at between 3.25 and 2% over their gold content, making them an excellent and cheap way to buy gold. Because gold is internationally quoted in troy ounces, the concept of a coin containing exactly one ounce of fine gold was a masterpiece of simplicity and effective marketing. 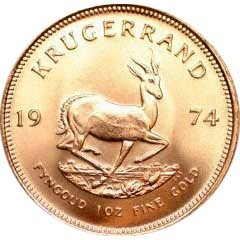 Anybody can look at the gold price, and instantly be able to compare it with the bid and offer prices of a Krugerrand. Because of this, the Kruger has a number of imitators including the Canadian Maple Leaf, the American Eagle, the Austrian Philharmoniker, the British Britannia, the Australian Nugget, the Manx Gold Crown, Australian Gold Nugget, Gibraltar Gold Royal, the Chinese Panda up to 2015, and a few others. In 2016 the Chinese Mint issued it's first metric bullion coins in four different sizes, the largest being 30 grams. 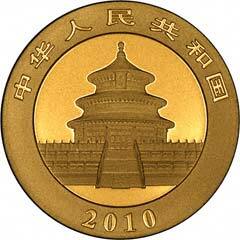 This is thought to be so the Chinese Mint can market the coins in grams and kilos within China. The metric weights have confused some people though as it makes them harder to calculate intrinsic because gold is traded in troy ounces. 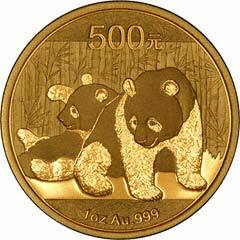 *In 2016 the Chinese pandas converted to a metric weight - 30g as opposed to one ounce. Which Are The Best Buy? 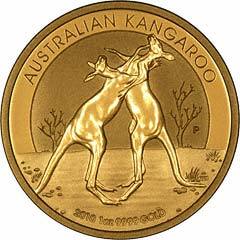 Of all the one ounce gold bullion coins listed above, Krugerrands tend to be available most readily, and at the lowest premium over gold. The exact answer depends on a few factors including current market conditions and size of purchase. 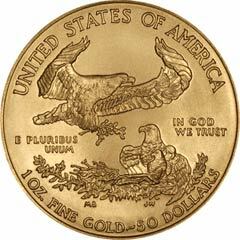 Occasionally we have other one ounce gold coins available at slightly better rates than normal, and it then may be worthwhile buying a few other types to add interest and variety. 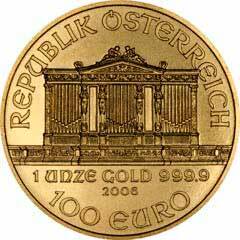 For quantitiy purchases, it can often be better in our opinion, to pay slightly more and buy gold sovereigns instead of Krugerrands. Our Choice - Newly Minted or Secondary Market? 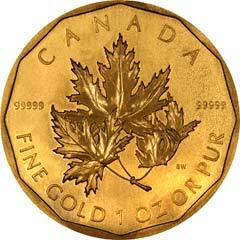 We can usually offer 'our choice' one ounce gold coins. By choosing our choice it allows us a little more flexibility and so we are able to offer lower premiums. 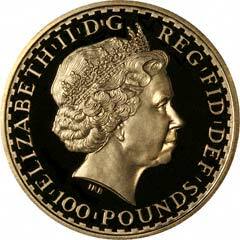 We can offer 'Newly Minted' coins which could be any date from 2000 onwards. The coins could be Nuggets, Lunars, Manx Angels, Britannias or any other new coin. Newly Minted coins can be bought at between 4.4 and 2.9% over their gold content. 'Secondary Market' coins are second hand and could have changed hands many times before. 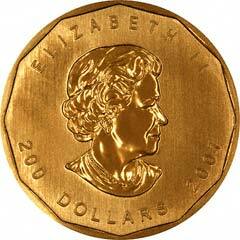 These coins could be Krugerrands, Maples, Philharmonicas or any other one ounce gold coin. Secondary market coins can be bought at between 3.2 and 1.95% over their gold content. Can't Decide Which To Buy? To fill demand for smaller sizes of coins, both for jewellery and for investment, all of the countries which issue one ounce bullion coins also produce fractional sizes of half ounce, quarter ounce and tenth ounce. Some also produce fifteenth ounce or twentieth ounce coins, but these are usually too expensive to be considered by any serious investor. 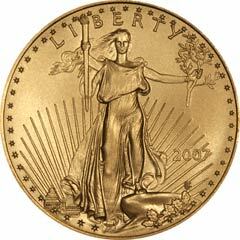 The fractional sizes obviously cost almost as much per coin to produce as the larger one ounce coins, and therefore a higher percentage compared with their gold value. They are all issued at increasingly high premiums as their size diminishes, and have not been as popular with investors as their large one ounce counterparts. 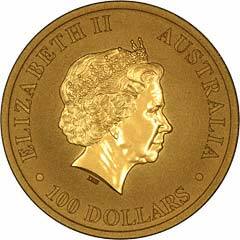 Australia issues two ounce, ten ounce and one kilo bullion coins. As these are only marginally less expensive than their one ounce cousins, and are in less convenient sizes, they have not been as popular as the one ounce originals, and are mainly bought by collectors or as gift items. 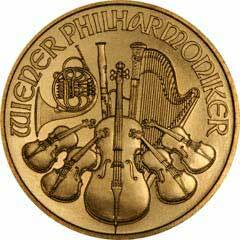 (One kilo gold nugget coins make great paperweights!). For this reason most investors will not buy these larger coins.